The future has arrived — at least it has in the world of customer relationship management or CRM software, one of the fastest growing categories of enterprise software. We are entering the era of intelligent, integrated CRM, and the future of CRM is even brighter. From small businesses to global enterprises, sales and marketing teams are adopting CRM to deliver better customer experiences, acquire and retain customers, and gain new customer-centric insights that are changing their companies for the better. Customer satisfaction has replaced customer experience as the top sales metric. To meet customer-centric goals, CRM systems need to evolve with greater precision and predictive analytics as well as a focus on customer needs and bevahior.  59 percent of customers say that companies knowing more about them from past interactions improve their customer experience. As AI becomes more prominent in the sales space, sale reps will transition to more customer-care focused tasks. Up to 30 percent of the thousands of pricing decisions companies make every year fail to optimize the price that would deliver the greatest margin and revenue growth. Biopharma companies typically spend 20 to 30 percent of their revenues on selling, general and administrative expenses. The global CRM market is predicted to grow at a 13.7 percent Compound Annual Growth Rate (CAGR) through 2021, according to Gartner estimates. Companies of all sizes are struggling to stay in step with their customers as their preferences related to how they learn about products and when they buy change constantly. We asked several experts in the field of CRM to share some predictions and trends in customer relationship management. Here’s what they had to say. Customers are fundamentally changing, and it goes beyond simple demographics. There’s a change in how all customer segments across Business-to-Business (B2B) and Business-to-Consumer (B2C) select who and why they buy from one company or another, as well as when they buy. To harness that information, you have to collect it — that’s where CRM comes in. The better the marketing data, insights and customer-centric knowledge driving decisions, the more effective every marketing tactic and strategy will be. When marketing strategies are built on a solid foundation of customer intelligence and insight, customer experiences improve. Positive customer experiences build trust, fuel repurchases, create loyalty and lead to higher lifetime customer values. This chain reaction of customer-centric growth gets started when marketing and sales teams know what customers are expecting, why they’re expecting it and how best to deliver products or services that exceed customer expectations. The dynamics of customer relationships are changing fast, with experiences winning out over transactions and satisfaction usurping experience. CRM systems need to change if they are going to meet customer-centric goals. They need to have greater precision, focus on customer needs, quantify customer behavior and predict that behavior. Additionally, today’s CRM systems should suggest or recommend potential tactics and strategies to marketing and sales team that deliver results. By offering greater contextual insight, customer intelligence provides predictive accuracy of when and where to sell in order to deliver measurable results. For Chief Marketing Officers (CMOs) and their teams, one of the greatest challenges is quantifying their contribution to company growth. Business intelligence (BI), machine learning and artificial intelligence (AI) all provide CMOs and their teams an opportunity to measure how their strategies drive sales and profits, as well as how they contribute to overall growth. Speaking of BI, it is one of the major CRM trends helping businesses meet their strategic global needs. Analytics, business BI, Big Data, machine learning and AI form the foundations of today’s fastest growing, data-driven CRM applications. Rich Bohn, self-proclaimed oldest living independent CRM analyst and President of Sell More Now LLC, is excited about AI. “AI is real and happening now,” he says, “and I am still waiting for someone to show me great use of blockchain in CRM. It will happen.” These concepts were once the purview of science fiction, but are the next big things in the world of CRM. Artificial intelligence in customer relationship management will be one of the primary catalysts of intelligent CRM’s growth over the next four years, supported by analytics, business intelligence and machine learning. Buyers will focus on the addition of emerging technologies that enable more effective customer experiences. So don’t worry about the robot uprising just yet. These experts all agree that AI, NLP, BI and blockchain will all be used to enhance human sales reps and employees in new and exciting ways. A recent article from McKinsey & Company, What It Takes To Capture The Value of APIs, provides an assessment of how companies can capture greater revenue growth through the use of APIs to integrate enterprise systems. In CRM, APIs are the glue that makes greater customer intelligence possible. They help integrate systems together and create valuable systems of record that reflect customer preferences, while driving successful sales growth strategies. APIs are one of the key technologies that enable cloud-based CRM applications to flex in response to sales and marketing teams’ needs. They’re also fueling a level of analytics-driven insights previously unseen. In addition, APIs are enabling entirely new business models, with the continued growth of Amazon Web Services dramatically showing how APIs contribute to the development of entirely new business models. APIs are already beginning to become more customer-centric in design, allowing for greater flexibility and versatility in designing entirely new GUIs, workflows, process steps and screen designs. Over time, APIs will redefine the nature of cloud platforms. Nearly every CRM provider today has APIs, some more mature and scalable than others. Cloud platform providers that dominate the CRM landscape have enterprise-grade APIs that signal the future of this aspect of the CRM technology roadmap industry-wide. APIs are also enabling the future of CRM technology by enabling greater orchestration and collaboration across departments, divisions, sales teams and channel-selling organizations. The following graphic illustrates how APIs are enabling a new era of intelligent, integrated CRM systems and platforms. Just how prevalent analytics, Big Data, machine learning and AI are today is reflected in the following data points from a variety of market research studies. Here are some studies that looked at the adoption of analytics company-wide, specifically for supporting CRM strategies. 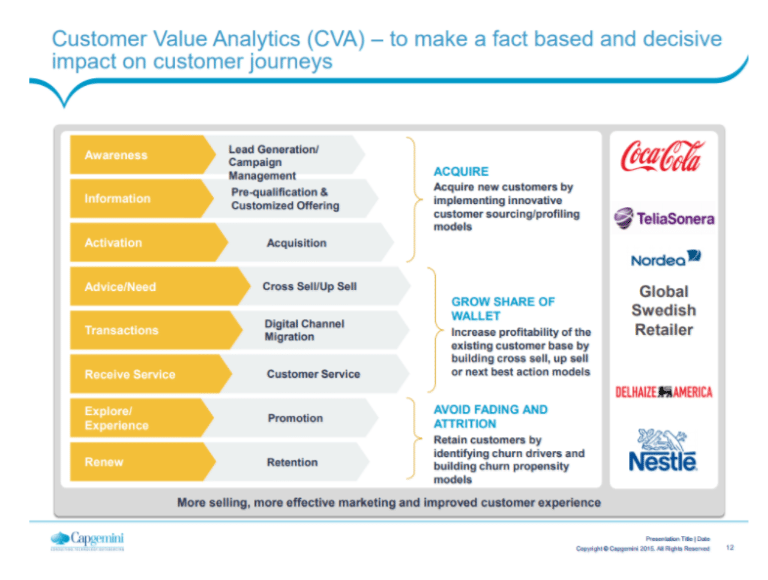 Coca-Cola, Nestle, TeliaSonera and other leading global marketers are using Big Data and predictive analytics to measure Lifetime Customer Value (LCV) as part of their global Customer Value Analytics initiatives. Leading global marketers are using CRM analytics software and Big Data to add greater predictive accuracy to their marketing strategies by mining the massive customer data sets they’ve accumulated over decades of serving customers. This strategy has been particularly effective in improving omnichannel and multichannel customer experiences — two areas that are challenging to orchestrate without customer insight from analytics. AI helps bridge the gap between customer expectations and marketing execution by extracting CRM data that marketing teams can use to accomplish personalization. 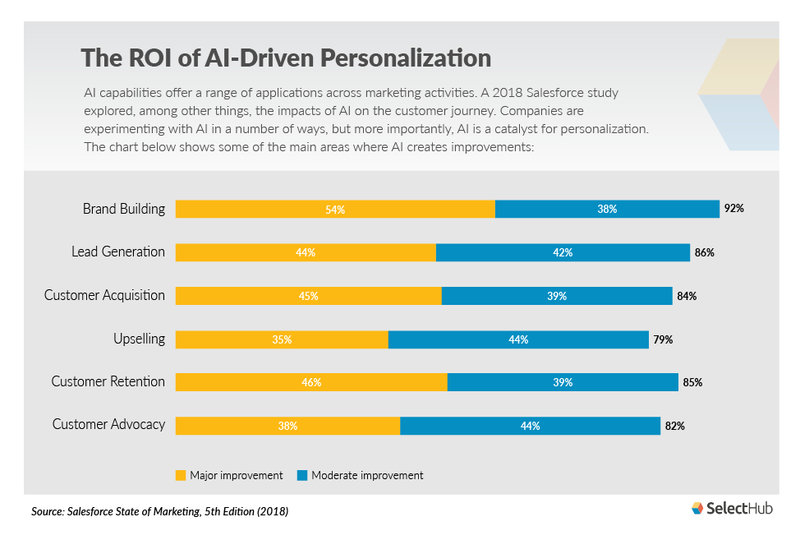 Another 2018 Salesforce study identified the influence of AI on improving the customer journey. Key areas influenced include brand building (92 percent), lead gen (86 percent) and customer retention (85 percent). Relying on predictive analytics, machine learning, and AI to optimize pricing is another area redefining the future of CRM software. Today, it’s possible to use CRM-based technologies and associated applications to differentiate pricing by customer, market, previous buying history and personas. 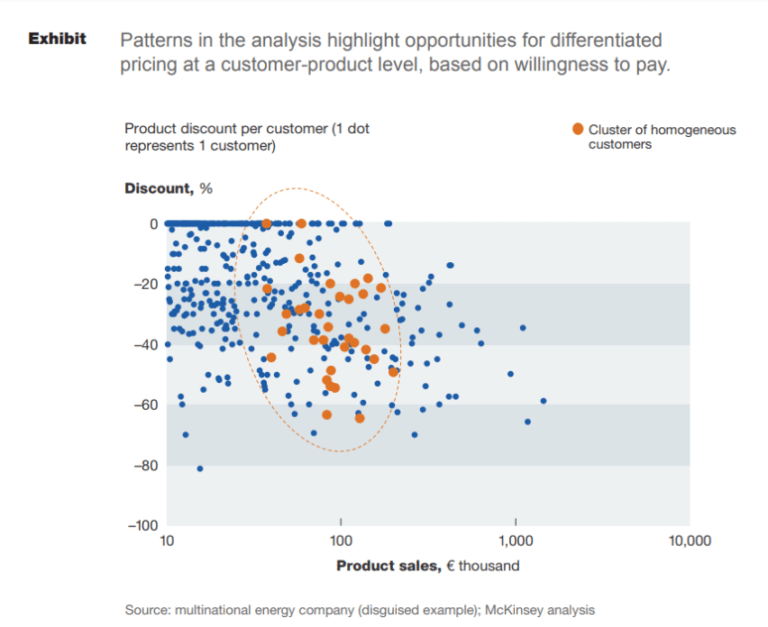 Of these many approaches to using predictive analytics and pricing, differentiating by customer-specific attributes including personas is showing the greatest potential, according to a study by McKinsey & Company. The study found that 75 percent of a typical company’s revenue comes from its standard products. McKinsey also found that 30 percent of the thousands of pricing decisions companies make every year fail to optimize the price that would deliver the greatest margin and revenue growth. With a 1 percent price increase translating into an 8.7 percent increase in operating profits, assuming there’s no loss of volume, pricing has significant upside for improving profitability. Biopharmaceutical companies are successfully combining predictive and geo-analytics-based apps to gain new insights into how their selling strategies can be improved. The biopharmaceutical industry is known for being channel-centric, complex, and costly to produce and sell products in. As a result of these challenges, biopharmaceutical providers are combining predictive and geo-analytics-based apps to gain new insights into how they can sell more efficiently, gain new customers and drive growth. 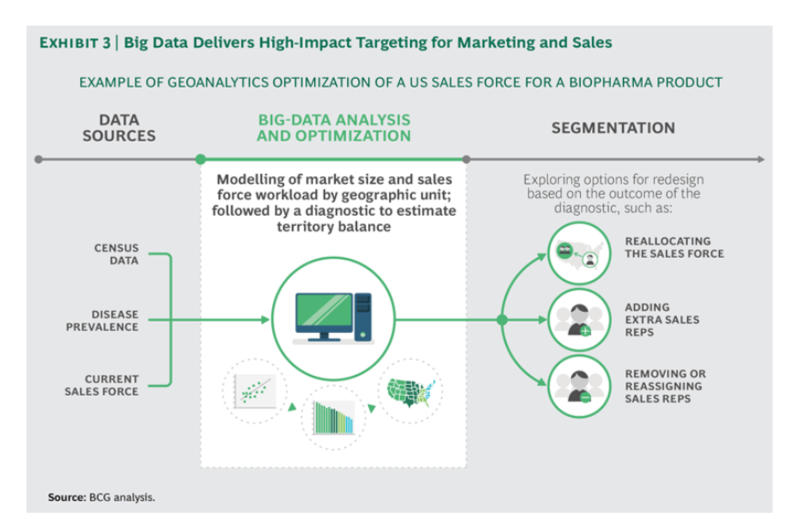 The Boston Consulting Group (BCG) found that biopharmaceutical companies are successfully using predictive and geo-analytics to fine-tune regional selling strategies and improve distribution channel sales performance. BCG’s study found that biopharma companies typically spend 20 to 30 percent of their revenues on selling, general and administrative expenses. If these companies could more accurately align their selling and go-to-market strategies with regions and territories that had the greatest sales potential, go-to-market costs would drop and sales would grow faster than forecasted. 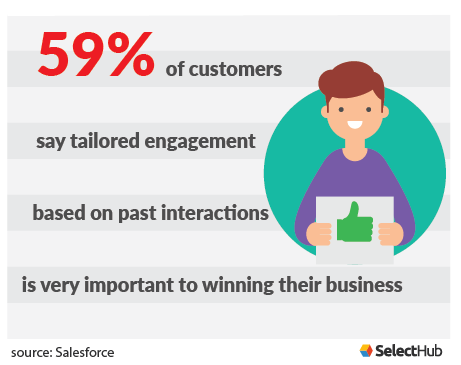 One of the key trends in CRM software is customer satisfaction, but that goes beyond just purely good service. Every business striving to keep existing customers and attract new ones faces the challenge of staying on their radar — a.k.a., staying relevant — as customers’ preferences and perceptions of what matters most changes. It’s the same with CRM applications and the sales and marketing teams using them. The old, cryptic command line interfaces and green screens of old systems are no longer relevant to the millions of sales and marketing teams relying on CRM to attract and win customers. Striking this balance between personalized customer interaction and respecting user privacy is a delicate one. The future of customer relationship management technology is being defined today by new, agile application interfaces that can be customized for each sales and marketing team member’s needs. Cloud platforms and their support for common user interfaces and usability standards are streamlining the customization of screens in CRM apps, making it possible to add or change fields within minutes. It no longer takes weeks or months to modify a CRM systems’ screens or workflows; it can be done in minutes by a cloud platform and application administrators. This is one of the main catalysts that continue to drive the adoption of cloud-based CRM applications. The flexibility of customizing CRM applications to match how sales and marketing teams work, rather than the reverse, is revolutionizing CRM and fueling its continued growth. More integrated, contextually-aware and intelligent CRM applications and platforms will enable marketing and sales teams to define strategies with greater precision, while measuring results achieved by sales teams better than ever before. CRM future developments are also predicated on how quickly APIs are redefining cloud platforms. 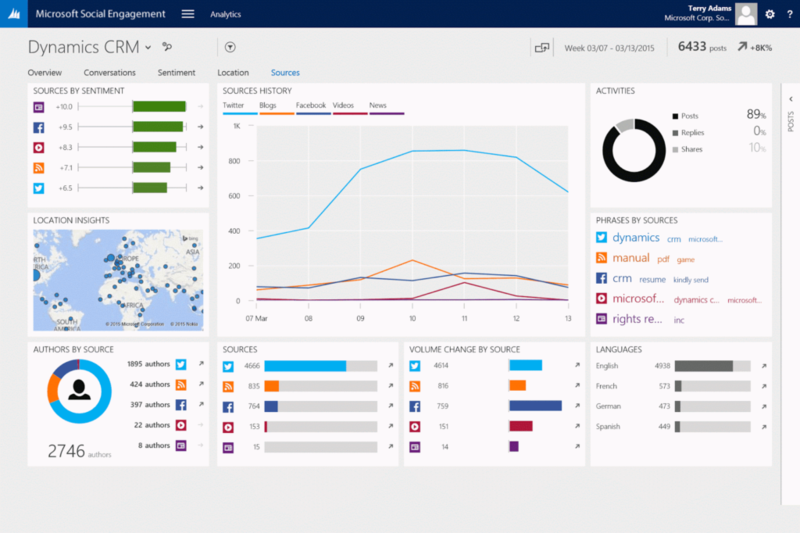 Using APIs to integrate with enterprise applications is just the beginning. CRM will continue to outpace overall enterprise software growth, as the plethora of technologies and strategies they support have a direct contribution to revenue growth. Not to mention, they can be measured by new customer acquisition and gross margin growth. Due to all of these factors, the future of CRM is among the brightest in all of enterprise and cloud-based software. What do you think of our experts’ predictions? What do you foresee in the future of CRM? Let us know in the comments! Tiffani Bova is the global customer growth and innovation evangelist at Salesforce and Wall Street Journal bestselling author of Growth IQ: Get Smarter About the Choices that Will Make or Break Your Business. Tiffani has appeared on MSNBC and Yahoo Finance and is a regular contributor to Forbes, Harvard Business Review, Marketing Matters on Wharton Business Radio – SiriusXM and Huffington Post in addition to a variety of industry-leading podcasts. She is a top influencer in Customer Experience, Digital Transformation, the Future of Work, and Sales, and she was recently recognized as one of Inc. Magazine’s 37 Sales Experts You Need to Follow on Twitter, a LinkedIn Top Sales Influencer, a Brand Quarterly Magazine Top 50 Marketing Thought Leader, and one of the most Powerful and Influential Women in California according to the National Diversity Council. Mitch is a technology leader and mentor who spends his time bridging the gap between business and technology to drive business value from technological advances. He maintains a particularly strong focus on customer experiences, next generation CRM and the more recent intersection of Social Media, Enterprise 2.0 and CRM, or “Social CRM.” Mitch is a process driven implementor, building solutions that make sense, taking into consideration people, process and technology, in that order. His current focus is on Conversational Intelligence, Relationship Intelligence, and Conversational Systems. The business outcomes of conversational systems will help enterprise executives who are taking charge of bringing customer service marketing and sales into the age of the conversation; through natural language processing, understanding, and intent. Rich started his sales career at the dawn of today’s microcomputer revolution. Recognizing the the potential impact this computer technology might make in sales figures; he went out and bought an Apple II. Thus began his 30 year quest exploring the benefits of sales automation and CRM! Over the years, he has written software reviews for many other publications. He was the Review Editor for Sales Process Engineering & Automation Review where he received the Sales Automation Association’s award for Excellence in Journalism. He was also a Contributing Writer, focusing on reviews, for Sales & Field Force Automation, now known as CRM Magazine. His no-nonsense reviews have helped literally thousands of sales pros make more informed CRM decisions!